L.A. is full of many different people from many different walks of life. While average Angelenos may not have their handprints on a sidewalk, they do leave their mark on other important things in life such as work, home and family. Traveling between work and home can be a struggle if you do not have a dependable car to get you there. Luckily, Auto Credit Express can help you find the vehicle you need to get from point A to point B. Even if you have low credit, bad credit or no credit at all, we have an extensive network of dealers and lenders that will assist you in getting back on the road again. Whether you're in Riverside or San Bernardino, Central L.A. or Long Beach, finding someone to approve you for an auto loan with bad credit can be pretty difficult at times. On top of that, there are some pretty shady dealers out there that are only looking for their own financial gain. Auto Credit Express can help you avoid that stress and headache that could be waiting to happen. Our national network of reputable auto dealers and lenders makes it easy to find the best financing options available for you today. Once the dealer has found the best option for you, they'll help you find a reliable and affordable vehicle out on the lot. These cars, trucks and SUVs aren't going to be beat up rust buckets that will break down on the Santa Ana Freeway in the middle of rush hour. Instead, you'll choose from reliable vehicles that will keep you nice and cool with the A/C blowing as you comfortably make your way to your next adventure. Buy Here Pay Here Car Dealers in Metro L.A. If you've been turned down at multiple places because your credit score is low, a BHPH car lot may be the answer you need. There is no bank or credit union involved in a BHPH purchase. You buy the car directly from the dealer. This means they don't even need to see your credit score! Just by providing proof of your gross monthly income, a couple of current utility bills and your driver's license, you can get into a car quickly. Keep in mind, though, that the payment schedule will be weekly, bi-weekly or monthly, depending on how frequently you're paid through your employer. And your interest rate will probably be higher than average. Also, since there is no bank pulling your credit report, your timely monthly payments may not be reported to the credit agencies. Historically, this has been the case with BHPH lots, but recently, more and more dealerships have started to regularly report good payment behavior. Before signing a contract, be sure to ask about your dealer's current policy. Average Miles: 362 1077 are for sale right now! Average Miles: 51 671 are for sale right now! Average Miles: 859 648 are for sale right now! Average Miles: 35286 457 are for sale right now! Average Miles: 19 443 are for sale right now! Average Miles: 173 431 are for sale right now! Average Miles: 2176 414 are for sale right now! Average Miles: 5746 337 are for sale right now! Average Miles: 38510 307 are for sale right now! Average Miles: 37248 299 are for sale right now! When you're looking to be approved for auto financing but are having a hard time with banks and other lenders, there's another option. Dealers that offer in-house financing eliminate the middleman and work exclusively with you to determine your financial situation and find the best way to help you buy a car. It's our philosophy that everyone deserves a second chance and the right to an affordable vehicle. 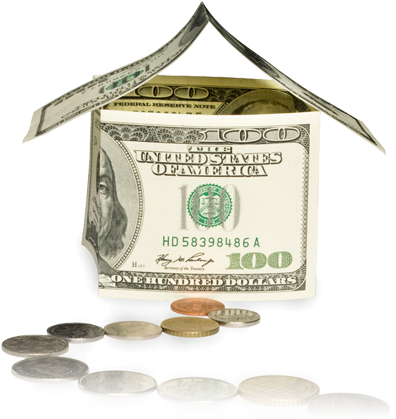 In-house financing is a great way to see that happen in the City of Angels. By cutting out the third party lender, dealers can create a buying experience that is much less stressful. All you need to do is provide the necessary information (pay stubs, tax reports, proof of residency and recent utility bills) that proves you can handle the monthly payments without breaking the bank. 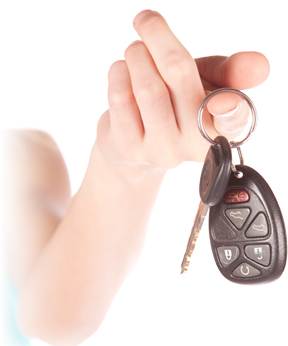 The most difficult times to buy a vehicle are probably during and after a bankruptcy. However, we work with dealers and lenders that still want to help you and believe in giving you a second chance. If you're going through a Chapter 7 bankruptcy, you'll need to wait until you have your discharge papers in hand before a dealer or lender can help you purchase your next vehicle. With a Chapter 13 bankruptcy, things work a little differently. Because the debt repayment schedule can last as long as five years, lenders are able to find a way to finance you during that time. You'll need to have your trustee's approval as well as paperwork showing how much new debt you're allowed to take on. This process can take time, so you should probably get the ball rolling the minute you discover that you're going to need a car. Finding the right car is not always so easy to do. Sometimes you need more than just a test drive around the block to determine if the car is the right one for your needs and budget. In those cases, there is an option called Rent-to-Own. This is a great way of being able to take home the vehicle and pay for the time you're using it until you decide that it's the car for you. Not every dealer offers this great option, so let Auto Credit Express help you find the best dealers in Metro Los Angeles that can grant you the opportunity you need to test the waters. The greatest part about working with Auto Credit Express is that we don't take a lot of your time. We know you lead a busy life and we respect that. That's why we created a secure online finance loan request form that you can complete and submit at whatever time of the day works best for you -- Plus it's only three minutes! Just because you have damaged credit doesn't mean you can't find the auto financing you need for a dependable and reliable car, truck or SUV. Let us help you find the best dealer in Los Angeles who will get you back on to the road and rebuild your credit.